I've lost the pre-checked widget, what to do? Since April 9th 2019, the pre-checked Messenger widget is removed completely from all stores. This means that it is no longer possible to have the pre-checked Messenger Widget. This is a global decision from Facebook and will affect all sites. You can learn more about this change here. 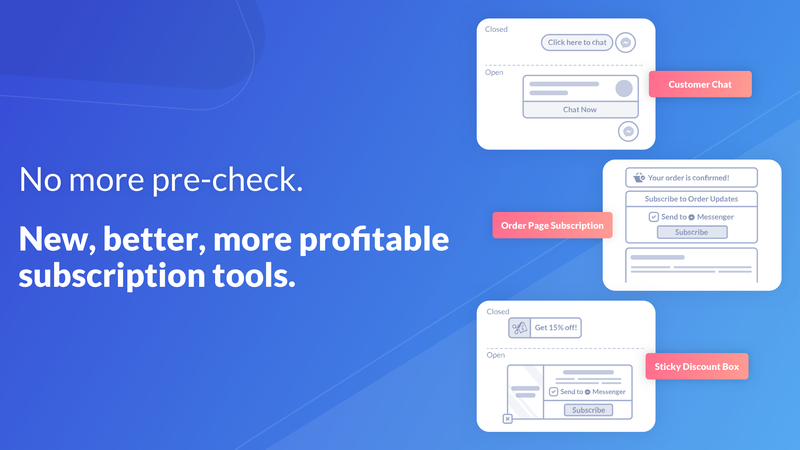 We've just launched three awesome new subscription tools so that you can collect even more subscribers than you did with the pre-checked Widget. You can enable these tools on your Conversation Starters' dashboard. If you have any questions, please don't hesitate to contact our Support Team, they are more than happy to assist.